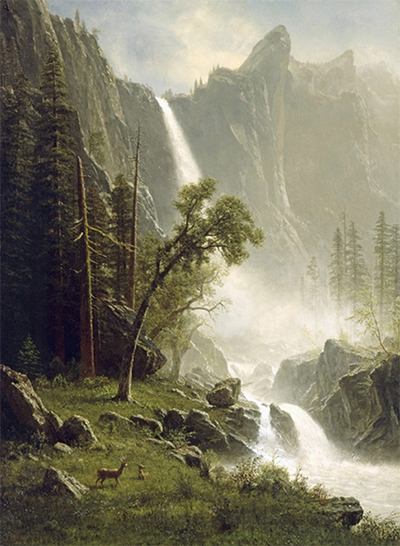 Albert Bierstadt was a key member of the Hudson River School art movement which delivered stunning paintings of the natural landscape of North America. 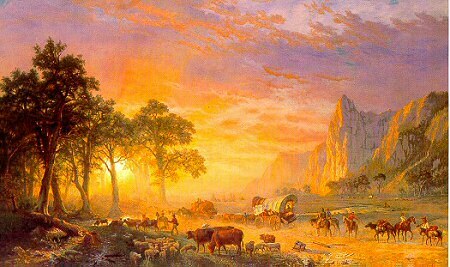 Artist Bierstadt captured the great Western expansion across the United States in the 19th century and this makes his work historically significant, beyond purely the artistic qualities of his landscape paintings. This was the Golden Age of the country's development and holds fond feelings for many patriot Americans. 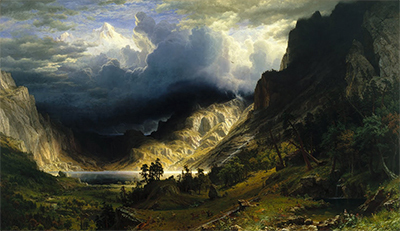 Bierstadt was not the only significant member of the Hudson River School, but ranks prominently alongside the likes of Thomas Cole, Thomas Moran and Frederic Edwin Church. 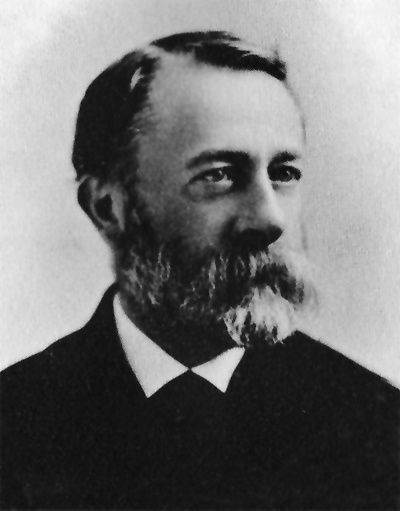 The artist's work was so intertwined with his work as a naturalist in the American countryside that Mount Bierstadt in Colorado was named after him. In honoured his work as both a painter but also someone who sought to protect the environment through more hands-on efforts. The style used by Bierstadt combines elements of realism and romanticism, faithfully re-producing what was seen by the artist's eye, only with his own personality added on top. Emotion in depiction was something which would help to differentiate Bierstadt from other members of the Hudson River School. It was also key to many other art movements such as French impressionism. This German-born American artist was highly prolific. His passion would drive him onto creating around 4,000 artworks during his life, the vast majority of which were landscape oil paintings. 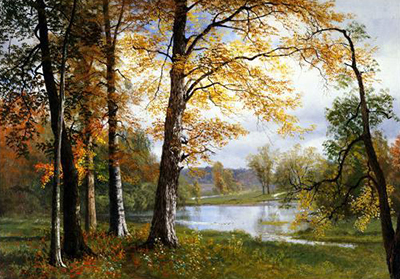 The accessibility of the countryside to Albert meant that he was able to paint whenever he wished. Sources of inspiration surrounded him throughout his life. He would then campaign for the protection of this environment, something that continues on today. Bierstadt respected and loved the scenes found through this website and wanted to ensure that they could be enjoyed by many more generations. Characteristics of Bierstadt's work included lively, expressive skies which would lift the colour and light across his scenes. You will find examples of his stunning use of light in paintings such as Sunset in the Yosemite Valley and Yosemite Valley Yellowstone Park. Disclaimer: AlbertBierstadt.net is a personal website covering the career of Albert Bierstadt, but is in no way an official website for Albert Bierstadt and AlbertBierstadt.net does not claim to be that in any way. The Estate of Albert Bierstadt and their presence hold all necessary copyrights and licences for all of his paintings and other works. 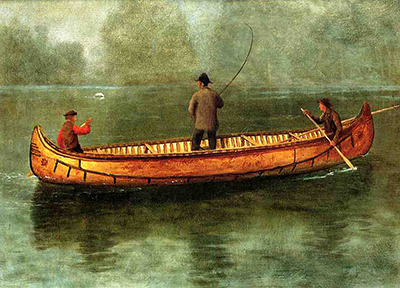 All prints, paintings and photos included in AlbertBierstadt.net are provided as an affiliate to Art.com who hold necessary permissions. Art.com pay us small commissions based on any prints or paintings that you buy as a result of using this website.